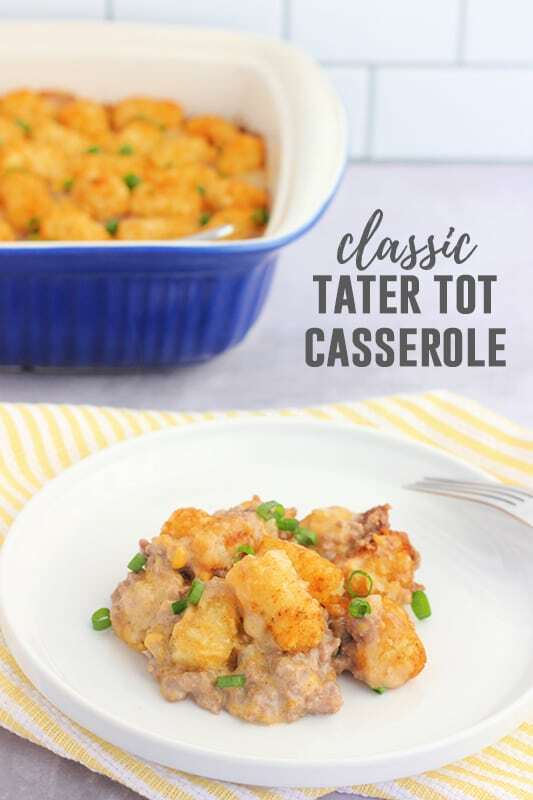 This classic tater tot casserole recipe is made with just 4 ingredients and is the ultimate comfort food! 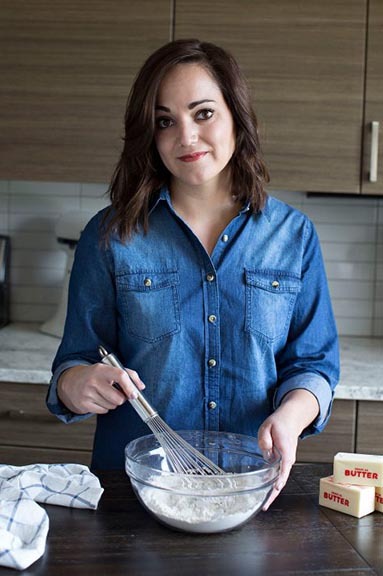 This easy dinner recipe is a weeknight staple! Short story… Years ago my mother in law made this recipe for me. Since then we have been adding it to our dinner line up on the regular. It is my kids all-time favorite dinner recipe. I can’t complain. 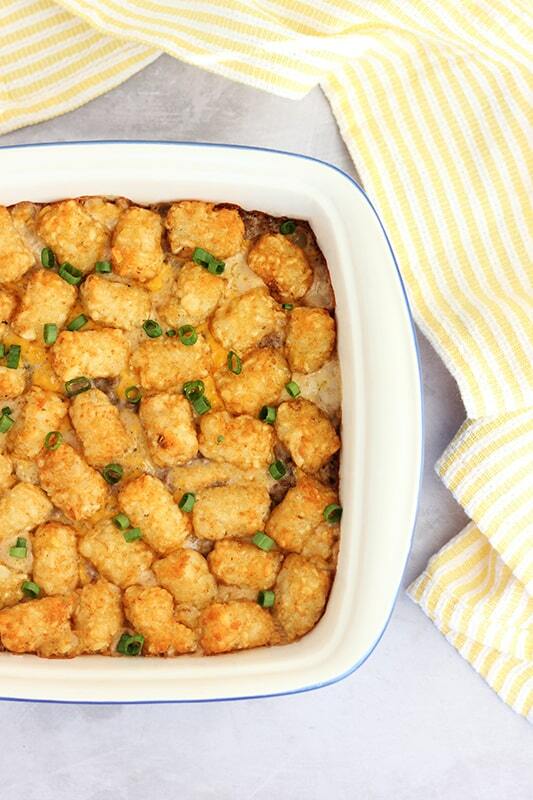 With just 4 ingredients I can have this casserole in the oven in under 15 minutes! 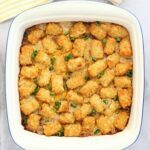 What are the ingredients in tater tot casserole? Chances are good you already have everything you need for this recipe. It surprisingly has a lot of flavor considering the short ingredient list! That is all you need to get this belly filling meal on the table. Our house is divided. Half of us prefer the cream of mushroom while the other side is all about cream of chicken. Both canned soups work brilliantly in this dish so don’t be afraid to mix it up. Stir in the cream soup and shredded cheese. If you want to make things even easier, you can always cook your hamburger ahead of time. We cook large batches of ground hamburger and divide it into 1lb servings. Place them in a freezer safe zip top bag and freeze until ready to use. 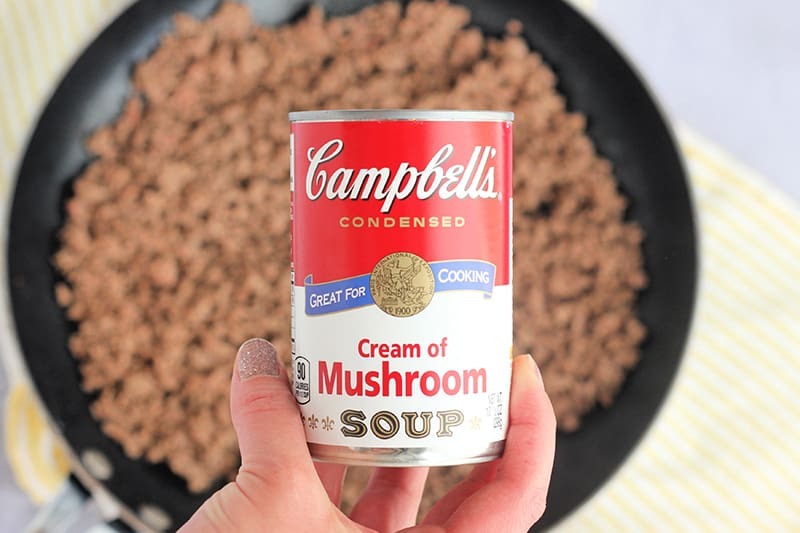 Can I substitute cream of chicken soup for cream of mushroom? Definitely. Well, in this recipe at least. The beauty of this dinner recipe is that it is very forgiving. Try your favorite creamed soup for a fun new flavor twist! 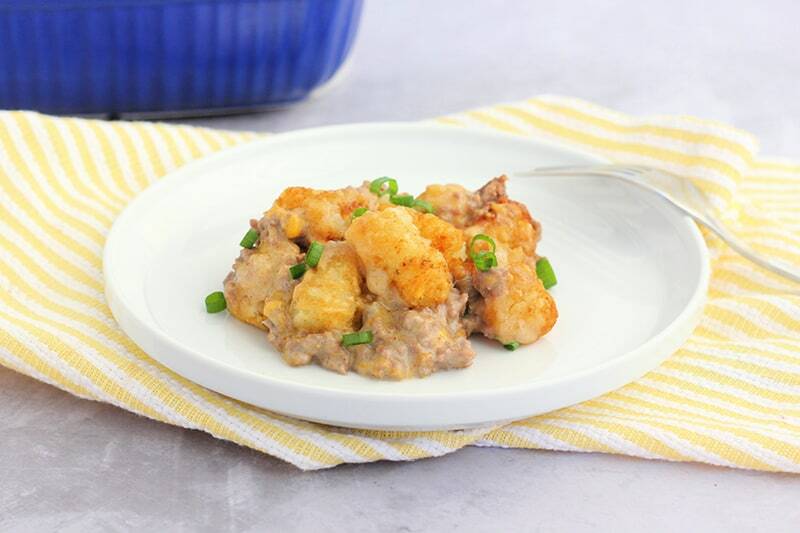 Can you add vegetables to tater tot casserole? Adding green beans right to the meat mixture is a great way to get your kids to eat their veggies! Most veggies (steamed first) will work in this recipe. Stir in corn, carrots, peas… You cannot go wrong with any vegetable. Like this recipe? You will love my Lasagna Stuffed Shells, Stuffed Peppers, and Italian sausage and potato dinner! 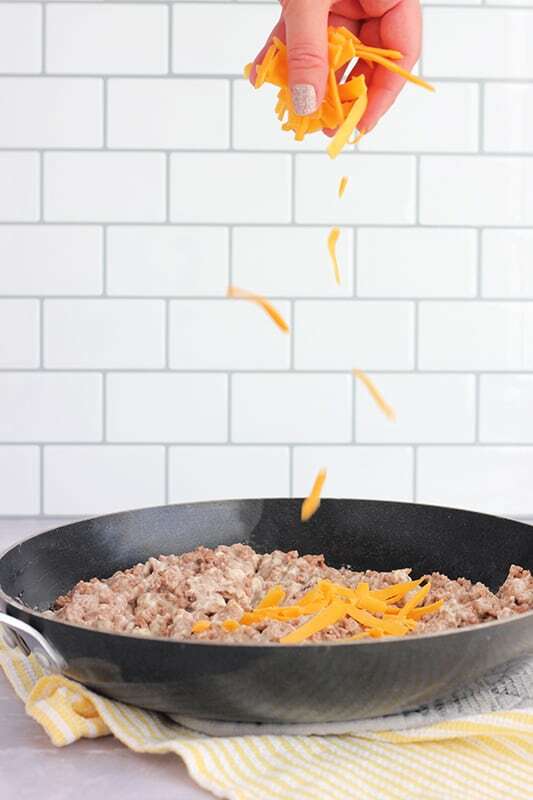 Cook your meat in a large skillet until browned and crumbled. Mix in the cream of mushroom soup and the shredded cheese. Pour into a 9x9 inch casserole dish. 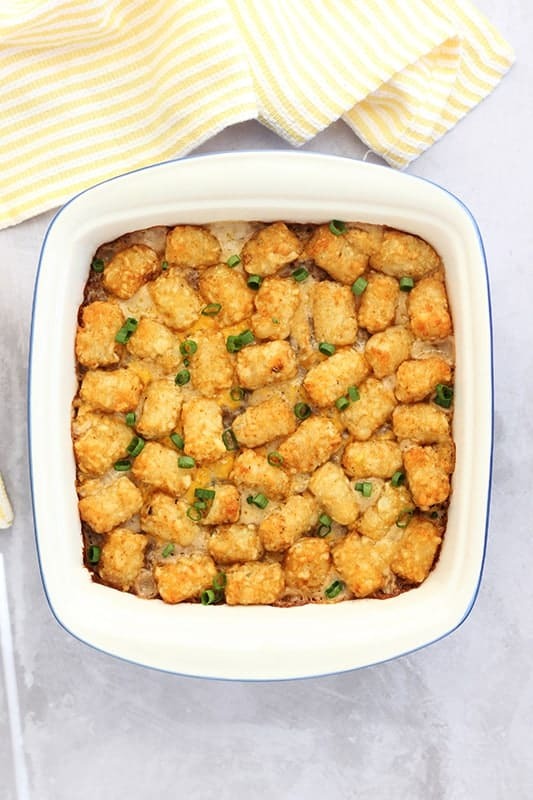 Cover the top evenly with tater tots. Bake for 30 minutes. Optional: Sprinkle with chopped green onion and serve with ketchup. Love the idea of adding mixed veggies!